Under California Probate, what is community property with right of survivorship? What is community property with right of survivorship? Most real property held in community between spouses and domestic partners used to be held in joint tenancy. Since 2001 (and 2003 for domestic partners), California probate law has introduced Community Property with Right of Survivorship (CPWROS). When real property is held in CPWROS, the property passes to the surviving partner or spouse automatically. And the entire property is stepped up in basis value. This means that no capital gains tax is due when the surviving spouse or partner sells the property. Keep in mind that this applies at a price not exceeding the market value at the time of the decedent’s death. In a joint tenancy title, only the decedent’s part of the property would be revalued (stepped up) at the market value on the date of death, leaving the surviving spouse or partner with a taxable capital gain on his or her part of the property should he or she decide to sell the property. 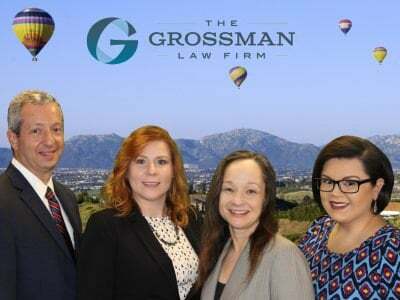 In conclusion, if you would like to discuss your case, you may call probate attorney Scott Grossman for a free consultation. You may also fill out a quick and easy online form so we could better assist you. 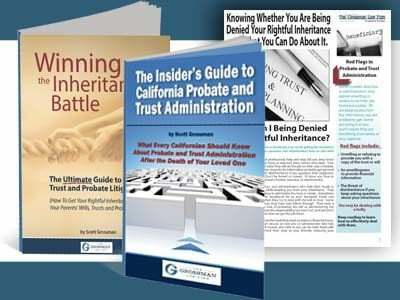 If you would like to receive more information, we suggest you order Attorney Grossman’s free legal book The Insider’s Guide to California Probate and Trust Administration. It would be our pleasure to further assist you during this process. Any property acquired or owned by a validly married couple. 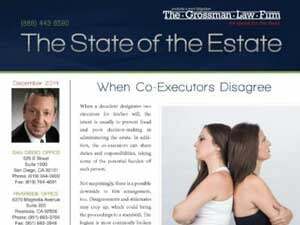 In the context of probate, if there is no will, community property will usually go entirely to the surviving spouse. To read more about community property click here.